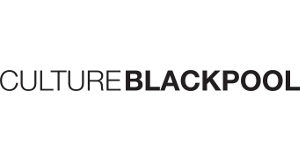 Blackpool Grand Theatre (Arts and Entertainment) Ltd is the company that runs Blackpool’s Grand Theatre. When you enter the Victorian auditorium of the Blackpool Grand Theatre you will understand what people mean by ‘the glorious Grand’. There’s the incredibly ornate, gilded plasterwork, baroque ceiling, cavorting cherubs, cantilevered balconies allowing every seat a clear view of the stage and elegant new seats all creating a real ‘wow’ factor. Blackpool Grand Theatre is one of the few remaining theatres of great architectural character, designed by Frank Matcham. It has a magnificent 4-level auditorium with 1,100 seats. All-year-round programme covering all live art forms. For a full list of departments visit Contact Us.